I perched on the edge of the pool in all my 13 year-old gawkiness… poised to dive head first. My wet hair and wet suit had long since dried. I was a wreck. I wanted to jump. She said I had to jump. But I just couldn’t jump. Irrational fear flooded my mind. Arms and legs were getting stiff. I almost, kind of, didn’t like her anymore! Why was she making me do this? Why did every summer visit have to be a “learning experience”? She got out of the pool, one more time, and said “watch”. And again she dove, head first, into the water, barely a ripple, all beauty and grace. I always adored her and was a little bit afraid… all at the same time. She was the “fun” aunt. She had the best treats at Halloween. When I spent the night she let me stay up late and watch movies. 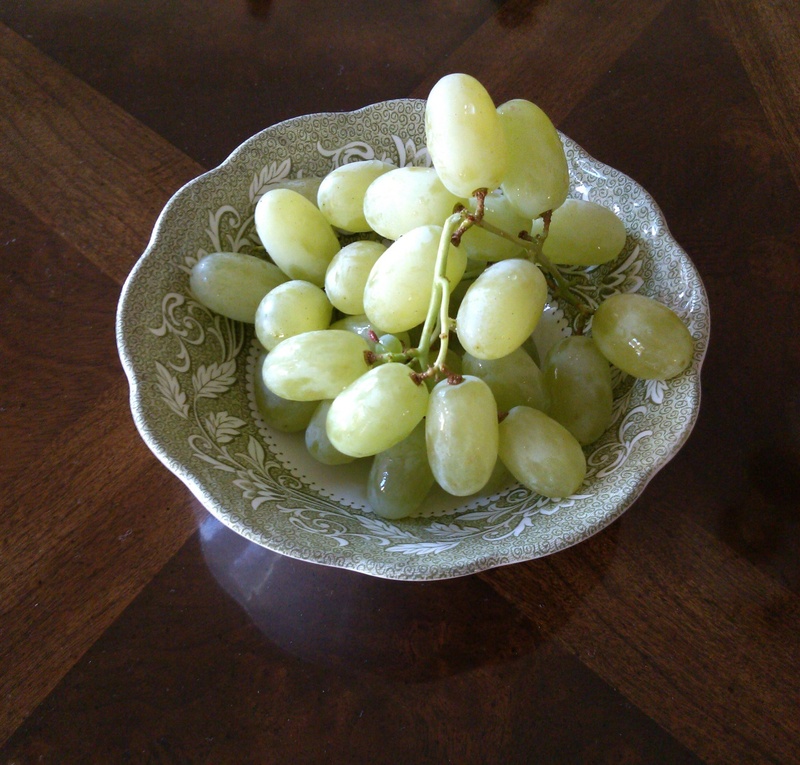 We ate bowls of popcorn and seedless green grapes and had grown up conversations. She made me learn to do my own hair because “your mom will not always be there to do it, young lady”. And there was the Christmas she gave me the Tiny Tears doll I absolutely had to have or life would not be worth living. In my teens she taught me the therapeutic effect of shoe shopping. She always found me the perfect swim suit. She let me drive her purple Pontiac Bonneville. We sobbed, loudly, in the theatre over Doctor Zhivago. Every summer there was something to learn… like swimming or diving. We did artistic things like painting, or leather tooling or mosaics. I loved mosaic summer, which was also Camp Pendleton summer. She took me to my first “fancy” restaurant and coached me how to order my own meal. And to order exactly what I wanted, because “when you pay good money for something you should get what you want”. The first time I flew on an airplane was from San Francisco to San Diego to spend a month with her while my Navy uncle was at sea. I was afraid to fly. And I was afraid to land. And I was sure I’d never find her. But when the plane touched down, there she was in all her emerald-green glory of a dress with matching broad-brimmed hat. She was the brunette version of Grace Kelley. No one could possibly miss finding her. And we swam every day, watched movies every night and ate popcorn and seedless green grapes… and every week we went to the movie theatre on Camp Pendleton where I discovered how awesome Marines look in uniform. I can’t remember any of the movies. I loved to drive places with her because she got lost a lot, which was strangely fun. There was the night we turned the wrong way down a one way, big city street and screamed like little girls until she found her way off. I have been inordinately aware of one-way traffic patterns ever since. She was my first employer… at a small diner, in small town Nevada. No special favors because I was her niece. I was to keep a smile on my face, the customer was always right, and I didn’t dare go anywhere without a pot of coffee and a cleaning rag. Because someone always needed more coffee and something always needed fixing up or wiping down. I thank her for my work ethic. She pushed me hard to do things I didn’t think I wanted to do… but things that made me happy once done. I watched her suffer unimaginable loss. The kind of loss every parent fears. And I watched her come thru the other side still a lover and a giver. She was not perfect. She made mistakes like anybody. But the interesting thing is I could tell her I didn’t understand, and I could tell her I didn’t agree and we would talk. And still not agree. But love anyway. Because, I think, that’s how we’re supposed to live this life. Yes? Doing the best we can, making mistakes, disagreeing… but loving anyway. She’s been giving me things for years… a box here, a bag there, occasionally a whole trunk load. Recently, my mom helped her sort jewelry and other personal things… labeling where they will go and who will receive. And a couple of weeks ago she called… all concerned… for me. Like she doesn’t have enough problems of her own? So tonight I can’t help but remember standing on the edge of that pool, all afraid and then so relieved once I made the jump. I’m glad she made me. I’m glad she was there to root for me… to witness my jump. For a few weeks now she’s been standing on the edge of eternity. I don’t know what thoughts or fears or questions swirled in her mind… because that kind of standing one does alone. Today she went in… with barely a ripple. She left the pain behind… with beauty and grace. And I stand as witness to a beautiful life that helped to shape mine. Brooke, what a wonderful tribute to your extraordinary aunt. My condolences that she is gone, peacefully and gracefully, but I’m glad you have such great memories of her and the impact she made on your life. Thank you, Carol. What a gift memory can be. Ahh, thanks, Karen. Been quite a few tears here for sure. This is inspiring in so many ways. I am an Auntie and I pray that the moments I have and will spend with my niece and nephews will someday become shared memories with others. 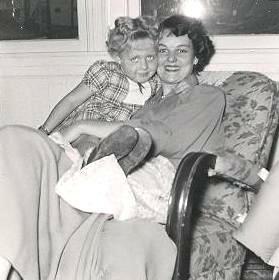 I send you my love and hugs with the passing of your Aunt. This is a lovely memorial to her and the relationship you both shared. Simply Divine, Brooke…how blessed you both were to know each other…. Thank you, Marilyn… she was a big blessing in my life. I love this, Brooke. You have such a way with words. You brought me back to that summer & that pool with you. I felt like I got to know her a little more. I already knew she was a beautiful person….but this makes me love her even more. She will truly be missed. BIG hugs to you. Love ya!! You conveyed her beauty so well – her beauty, the beauty of her life, and the beauty of her influence in your life. My prayers for you and your family – thank you for sharing this piece of your life with us. You have blessed me, and spread a bit of her life, her influence, on to us.